1983-1988 Fender Telecaster USA Custom Shop 1 Off John Cruz Built. 1983-1988 Fender Telecaster USA Custom Shop 1 Off John Cruz Built. This Tele with AMAZING block inlays on the fretboard was created by John while the USA Fender Factory was closed and was only putting out a few '57 and '62 reissues. So, this is a one off custom shop model before there even was a custom shop. CRAZY RARE! I enjoy what you guys are up too. Such clever work and coverage! Keep up the excellent works guys I've added you guys to blogroll. Wow.. This is super cool. This is way cool. 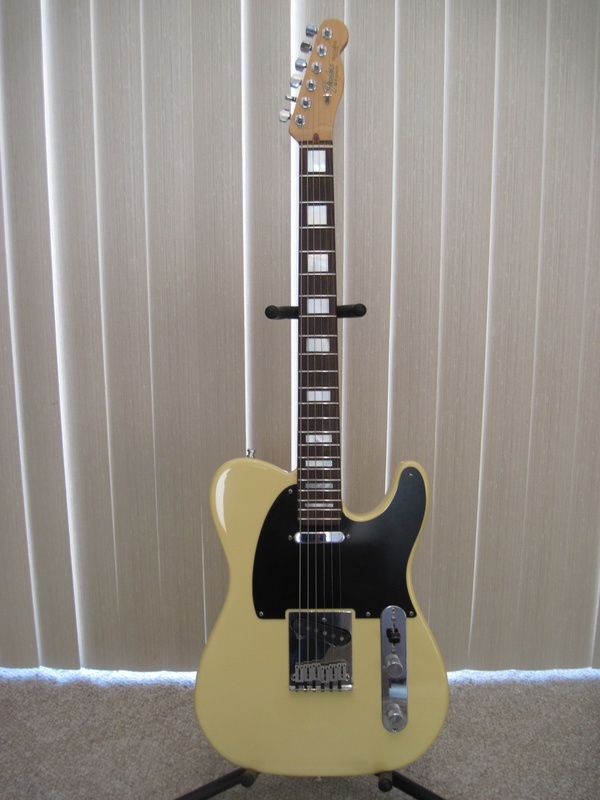 I've got one (not nearly as cool)--2015 or '16 American Standard Limited Edition Tele Olympic white with block inlays -- but a HH pickup configuration. Great bridge on this guitar. A real looker. Been watchin ya,and learning stuff,and I don't know what this site is for. ?I like your style,and methed,and I'll continue to enjoy all your vidio's,if you don't mind scot. Forgive me if I'm incorrect , is it now independence day , in America? A beautiful guitar! I'm lost for words. .